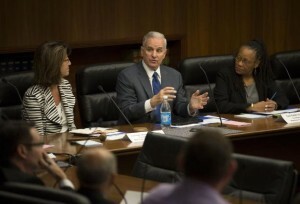 A task force examining Minnesota’s child protection system spent its first meeting Monday discussing what critics say is its chief failing: a general reluctance to investigate reports of child abuse and neglect. The task force was created by Gov. Mark Dayton last month, in the wake of a Star Tribune report about a 4-year-old Pope County boy who was killed by his stepmother despite repeated warnings to child protection.